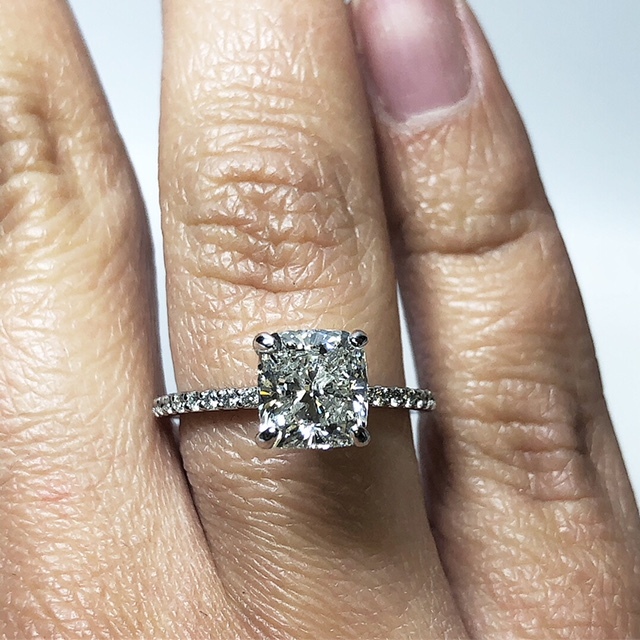 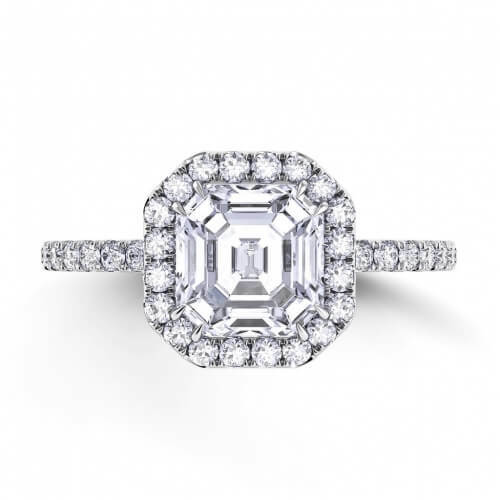 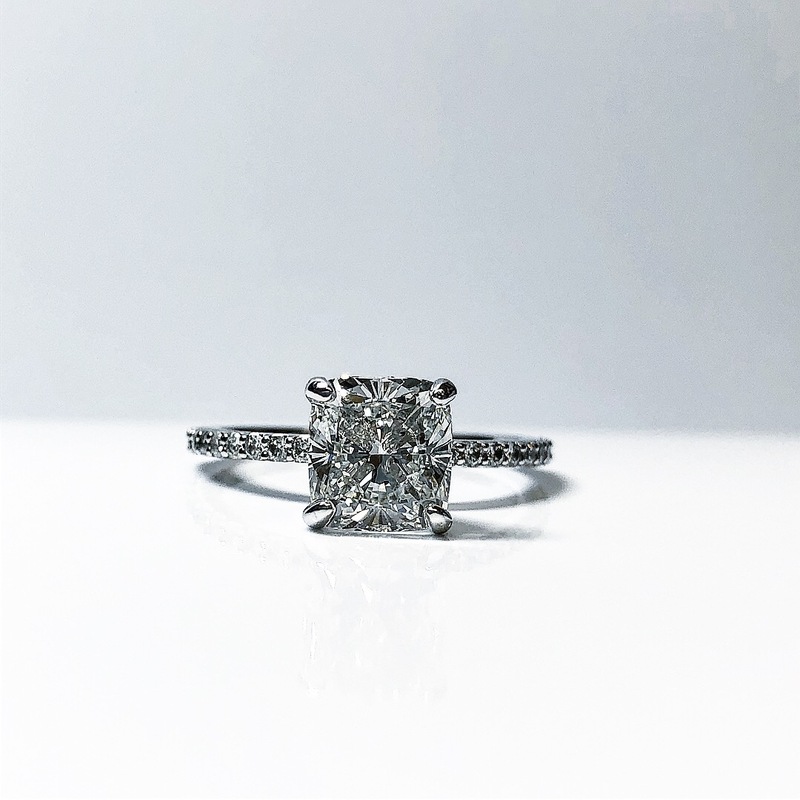 This ring is everything and more with its extremely fine style showcasing pave set side diamonds with just a touch of sparkle and a 1.81CT Cushion Cut H VVS2 center diamond stealing the show. 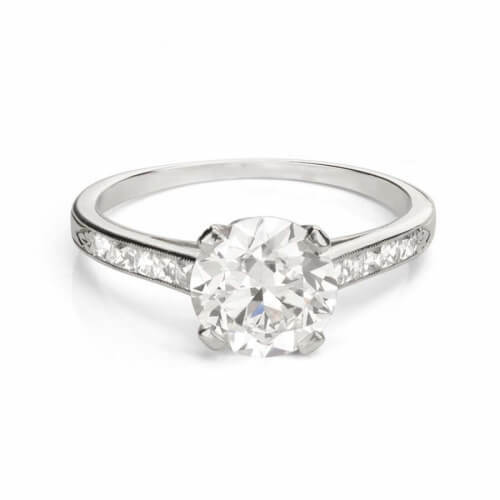 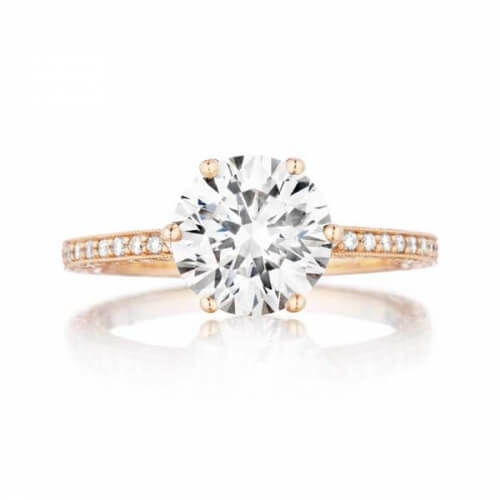 A perfect ring to pair with most any wedding ring. 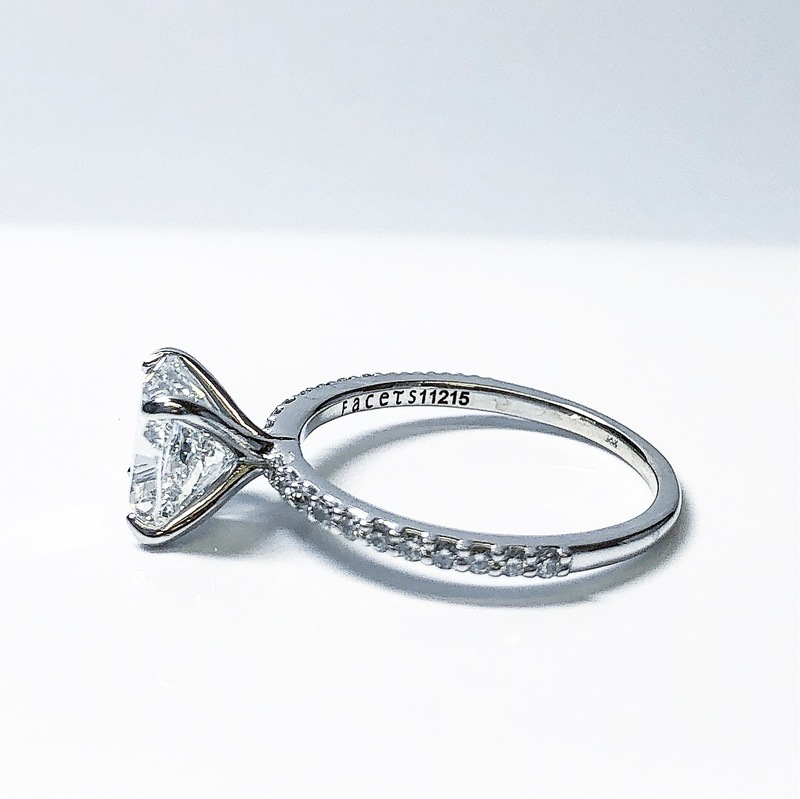 Can be customized to showcase any center diamond handmade in any metal of your choice. 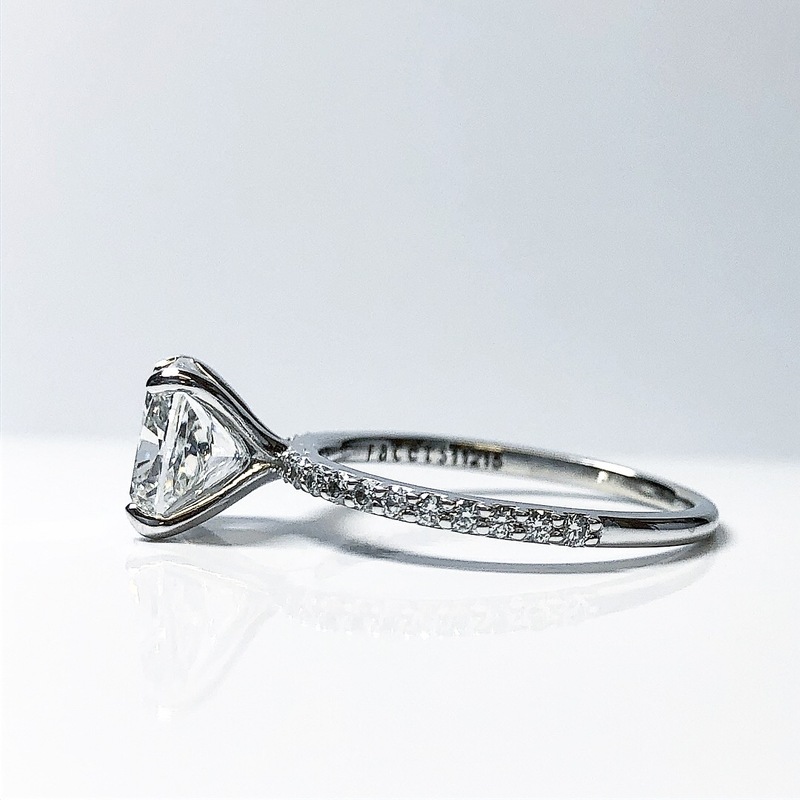 Currently a size 6.5, can be resized.